Rush to Auntie Anne’s stores for a FREE Pretzel on September 21 as we celebrate our 20th Anniversary in the Philippines! 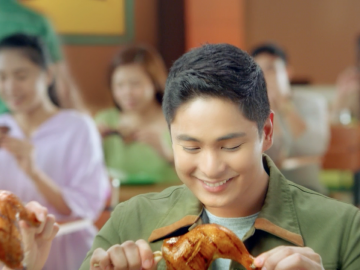 Simply get a free pretzel coupon from the nearest Auntie Anne’s store on September 20 (Sunday) and September 21 (Monday) to enjoy our pretzel treat. Visit Auntie Anne’s Philippines on Facebook: http://on.fb.me/1UUkow1 to know more about Auntie Anne’s Free Pretzel Day. 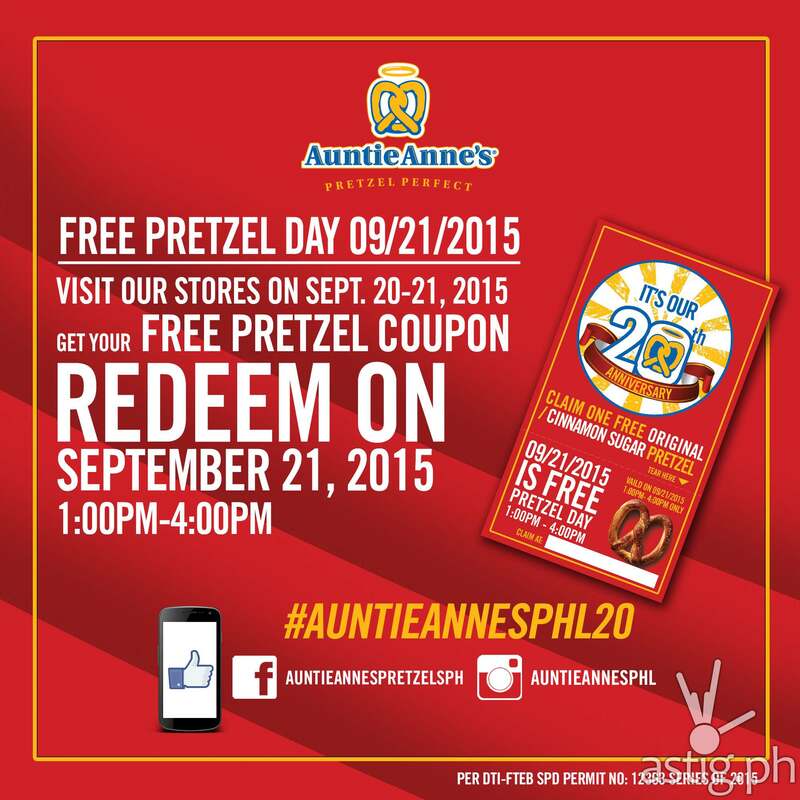 Share your Auntie Anne’s free pretzel on Facebook, Twitter or Instagram and hashtag #AuntieAnnesPHL20.